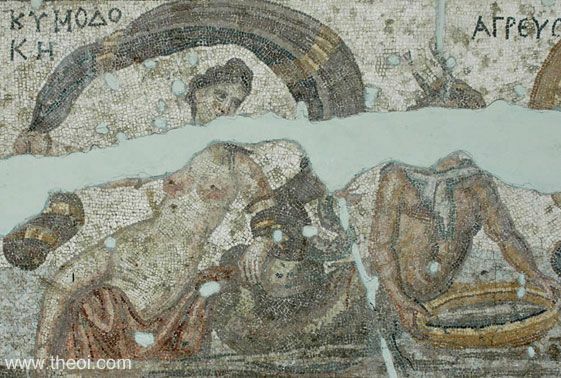 The Nereid Cymothoe reclines on the serpentine tail of the sea-god Agreus (Hunter). The marine deity is depicted as a merman with a serpentine fish-tail, crab-claw "horns" and crab-claw "feet". He holds a fishing net oin his hands.